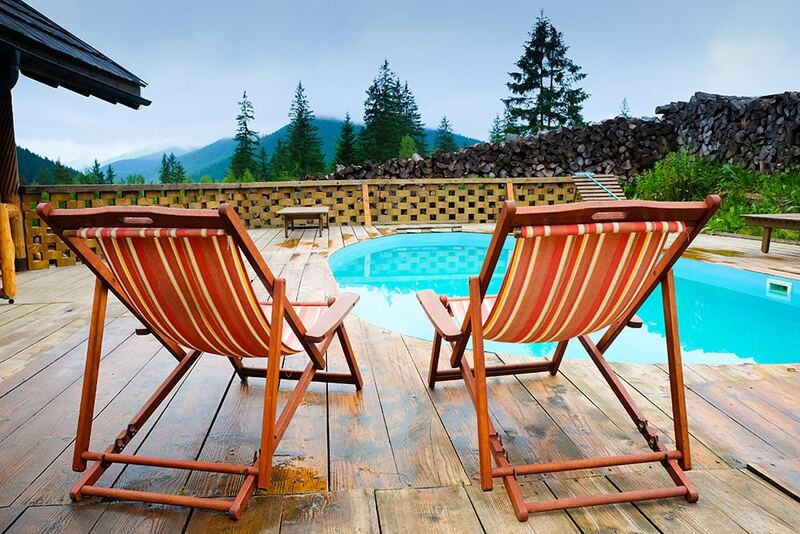 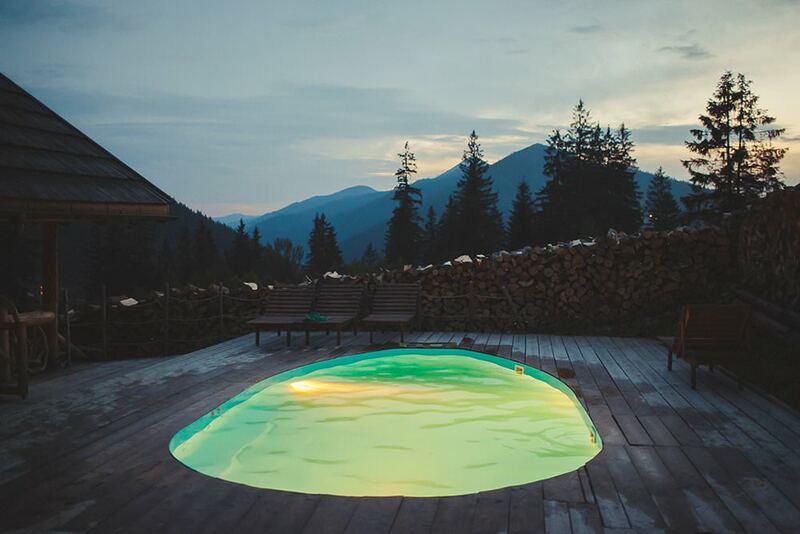 Outdoor Swimming Pool in Bukovel (Carpathians) - hotel-resort "Koruna"
An open swimming pool in the hotel “Koruna” makes our resort in Tatariv a perfect choice for the summer vacation. 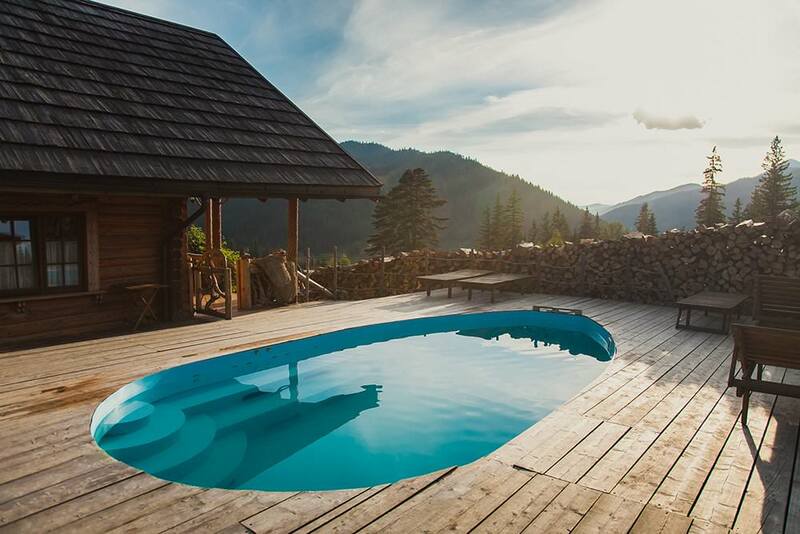 What can be better than the combination of fresh mountain air and active games in the water? 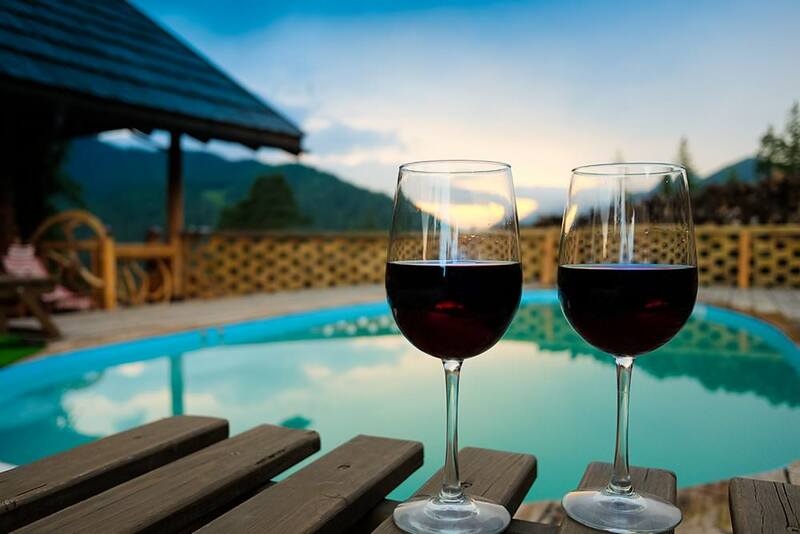 Well-equipped zone near the pool, with sun beds and sunshades, will bring additional esthetic pleasure to our guests. 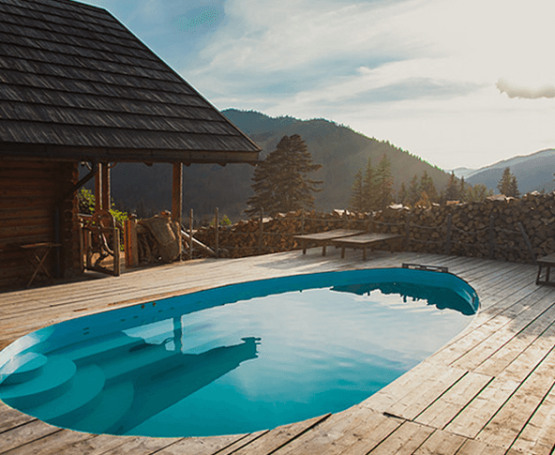 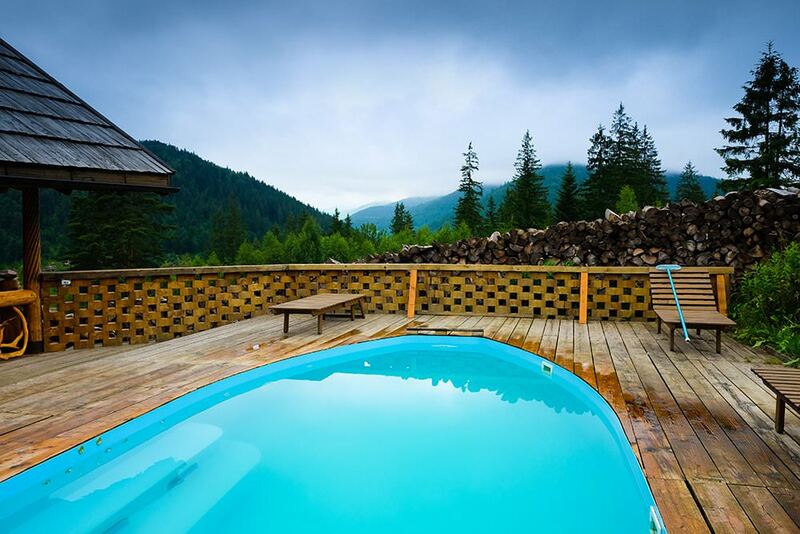 So if you look for a hotel with the swimming pool in the Carpathians, hurry up to book the room in “Koruna”!